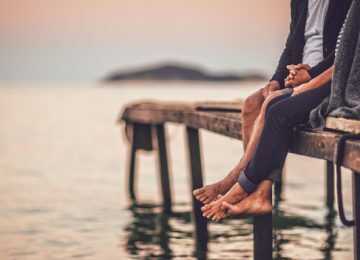 In general an NFL kicker’s career can last longer than players in other positions, because although being a kicker requires great skill, as a special position, kickers are not regularly put in harm’s way like other players. In fact, there have been a number of kickers who have continued to play well into their 40s and this list contains the 10 oldest. 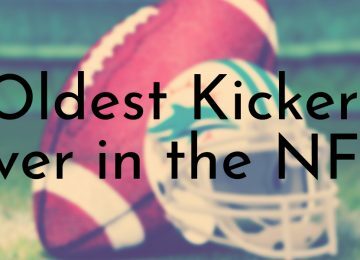 A few of the kickers on this list are even still playing and could potential break more records in the future. Many of the oldest NFL kickers had prolific careers and still hold franchise and overall NFL records today. 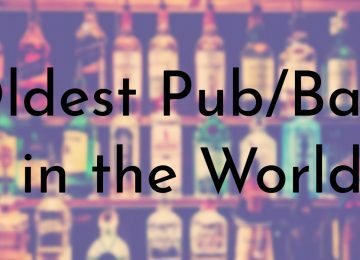 As of January 2019, this list is as accurate as possible and will be updated in the future as needed. Lou Groza was the first and only the second (the other being Morten Andersen) exclusive kicker inducted into the Pro Football Hall of Fame. Groza played for 21 seasons with the Cleveland Browns, where he set many franchise and NFL records, that have since been beaten. 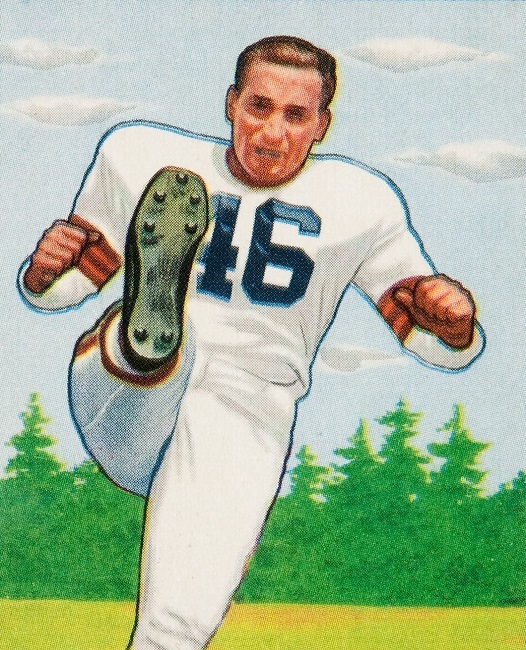 When he retired, Groza was the last remaining member of the original Browns team. Groza left a lasting legacy in the NFL and even has an award named in his honor. The Lou Groza Collegiate Place-Kicker award is given annually to the nation’s top collegiate placekicker and has become the most prestigious college football award a kicker can receive. One of Lou Groza’s kicking shoes is part of the collection at the Smithsonian Institution’s National Museum of American History. Matt Bryant is one of the few kickers on this list who is still active and according to his most recent contract with the Atlanta Falcons, Bryant plans to continue playing at least until he’s 45 years old. Currently, Bryant is the Falcons all-time leading scorer and in his 10 seasons with the Falcons, Bryant has made 250 of his 282 attempted field goals for a percentage of 88.65. Bryant has been a consistently good kicker and he kicked the second longest game-winning field goal in NFL history, which was 62 yards, against the Philadelphia Eagles in 2006. Over his long career, Bryant has been named NFC Player of the Week seven times, twice with the Tampa Bay Buccaneers and New York Giants and three times with Falcons. Matt Bryant’s current three year extension with the Atlanta Falcons is potentially worth up to $12 million. 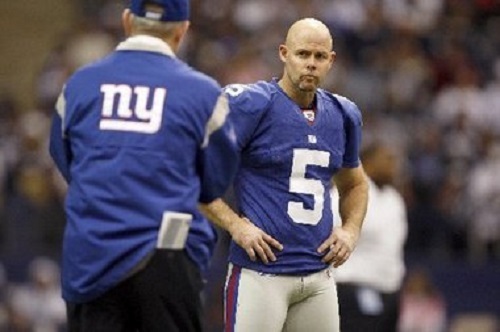 Phil Dawson just celebrated his 44th birthday and completed his 20th season in the NFL. At this time, Dawson has not said anything about retiring, although his contract with the Arizona Cardinals has expired. Near the end of the 2018 season, the Cardinals placed Dawson on the injured reserve following a hip injury. According to some in the Arizona Cardinals community, the team’s $6 million investment into the veteran kicker did not paid off. Prior to joining the Cardinals in 2017, Dawson played for three seasons with the San Francisco 49ers, but spent most of his career with the Cleveland Browns. Despite not living up to his potential with the Cardinals, Dawson has been a fairly consistent kicker. In NFL history, only Matt Bryant and Adam Vinatieri have a better field goal percentage than Dawson among kickers with 400+ field goal attempts. 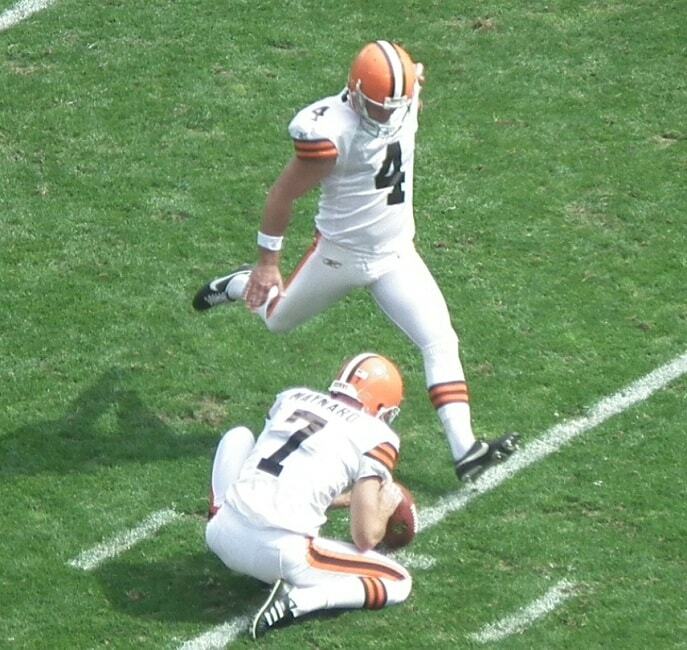 Phil Dawson is one of about a dozen players to appear in at least 300 regular season games. Eddie Murray was born and raised in Canada and played football in high school. Murray was discovered by Tulane University during a football camp run by Canadian football coach Cal Murphy. After graduating from high school, Murray accepted a scholarship to play football for Tulane and during his senior year he had a perfect season. 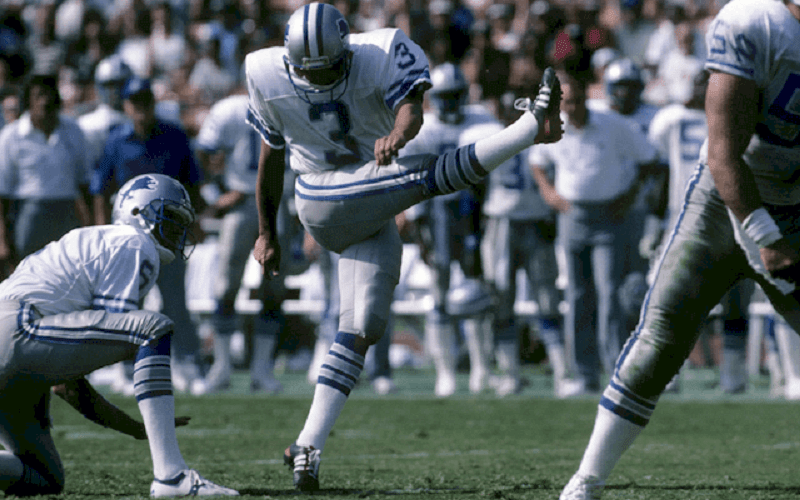 Murray’s professional kicking career began in 1980 when he was drafted by the Detroit Lions. At the end of his time with the Lions, Murray was the franchise’s all-time leading scorer. Murray continued to bounce around teams until he retired in 2000. Currently, Murray is the 20th highest scorer in NFL history with 1,594 points. After retiring from the NFL, Eddie Murray established Eddie Murray Enterprises in 2003, which is a major trucking company based out of Detroit. Gary Anderson was a kicker for 23 seasons and spent most of his career with the Pittsburgh Steelers. Anderson also played for the Philadelphia Eagles, San Francisco 49ers, the Minnesota Vikings, and ended his career with the Tennessee Titans. 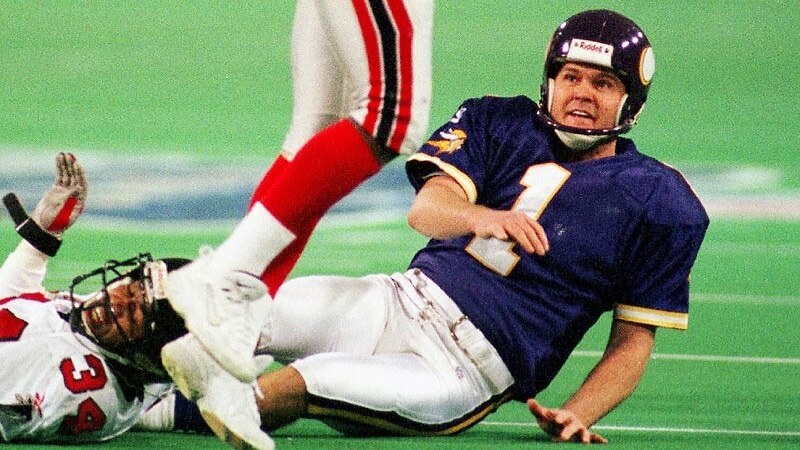 Gary Anderson is one of seven kickers to have perfect season (1998) with a 100% field goal percentage (35 out of 35 field goals). 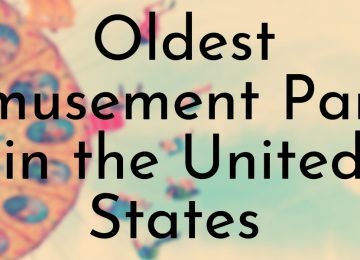 Anderson is the oldest player to hold this record and was 39 at the time. 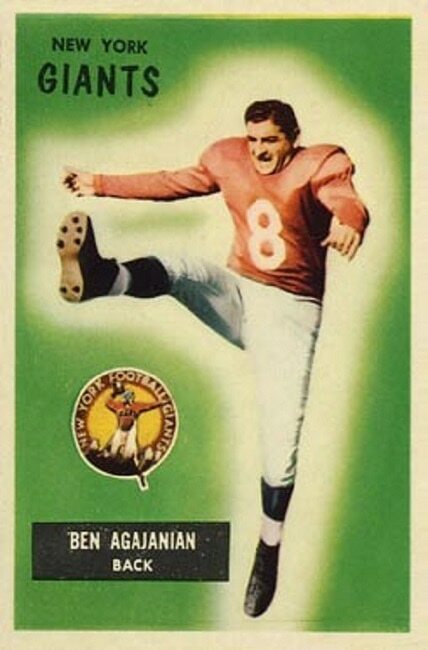 Ben Agajanian is regarded as the first “kicking specialist” in professional football history and played for numerous teams over 14 seasons. Although Agajanian was a great kicker, he played inconsistently, had gaps in his career, and does not hold any NFL records. After Agajanian retired from playing at 45 years of age, he became the NFL’s first kicking coach and spent the next 20 years with the Dallas Cowboys. Until last year, Agajanian was also one of the oldest living former football players. Agajanian passed away at the age of 98. Ben Agajanian was known as “The Toeless Wonder” because he only had four toes on his kicking foot after his foot was crushed in work accident. John Carney was in the NFL for 23 seasons and is best known for his time with the New Orleans Saints. 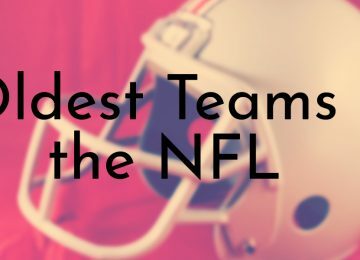 Besides George Blanda (who is also on this list), Carney is one of only two players in NFL history to play across four different decades (1980s – 2010s). 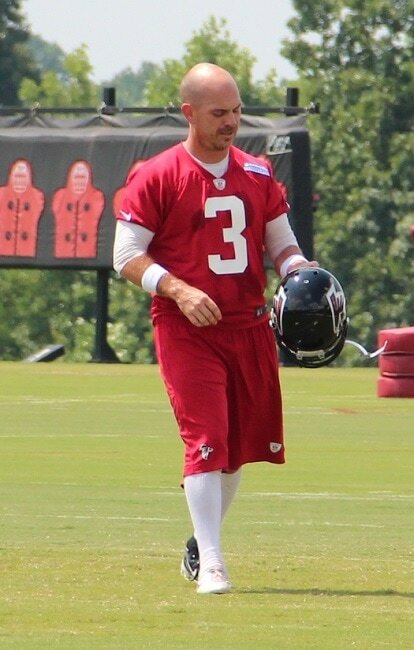 Going in to the 2010 season, Carney was actually not signed, however, the Saints picked him back up after their starting kicker Garrett Hartley kept missing field goals. Carney only played for one game and was released once again by the Saints a week later and Carney left the NFL for good. Today, Carney is using his four-decade long experience to coach football camps and clinics for high school, college, and professional players. John Carney has many field goal records, including most games with 5 or more field goals in a career (11) and most games with 4 or more field goals in a career (29). Adam Vinatieri is currently not only the oldest kicker still playing right now, he is also the oldest active NFL player period. Vinatieri celebrated his 46th birthday at the end of December and he just completed his 23rd year in the NFL. 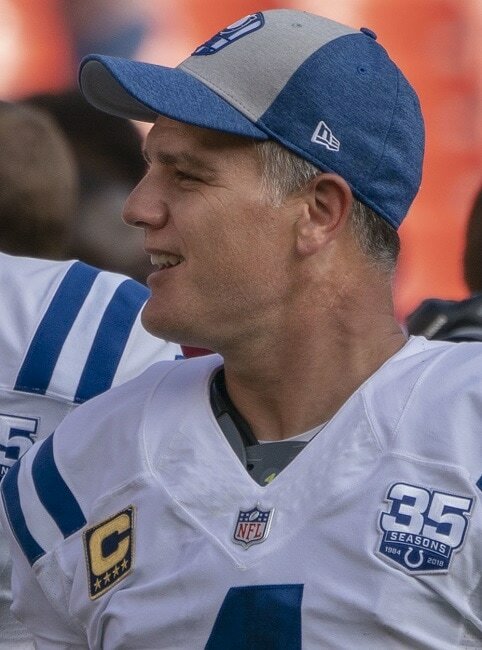 Over his two-decade long career, Vinatieri spent his first 10 years with the New England Patriots and has been with the Indianapolis Colts since 2006. It was just announced, that Vinatieri has extended his contract with the Colts for one more year (2019 season) and he plays till the end, he will solidify his record as one of the oldest kickers/players in NFL history. 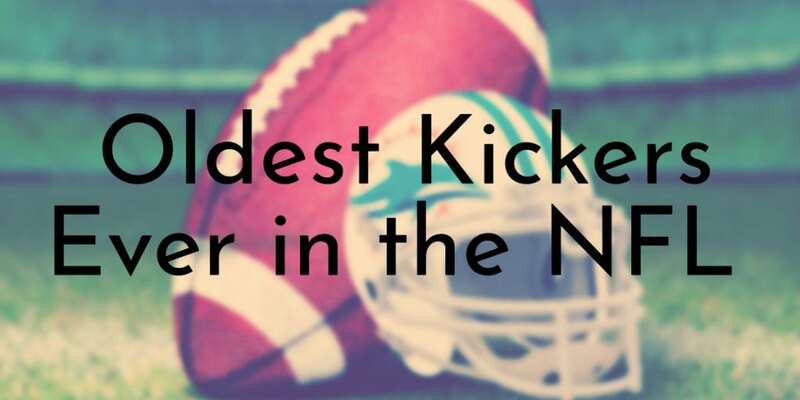 In addition to his longevity, Vinatieri has set many kicking records and is considered one of the greatest kickers of all time. Adam Vinatieri ended the 2018 season by surpassing a few of his own NFL records, including most points scored (currently at 2,598) and most field goals made (currently at 582) – with Vinatieri set to play for another season, he is sure to once again remain on top. 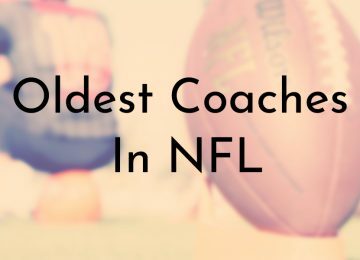 Morten Andersen is the oldest exclusive kicker in NFL history and retired from the sport when he was 47 years old. Andersen is originally from Copenhagen, Denmark and came to the United States in high school as a foreign exchange student. On a whim, Andersen tried out for the school’s football team because they didn’t have soccer and he ended up falling in love with the sport. Fast forward a few years, and Andersen stayed in the United States for college to play football for Michigan State University. After graduating, Andersen was drafted by the New Orleans Saints in 1982 and went on to have a 25-year long career. With such a long career, Andersen set many NFL records, including most field goal attempts (709) and most game-winning field goals (103). Morten Andersen is only the second exclusive kicker inducted into the Pro Football Hall of Fame and the first since Jan Stenerud in 1991 – Andersen was inducted in 2017. 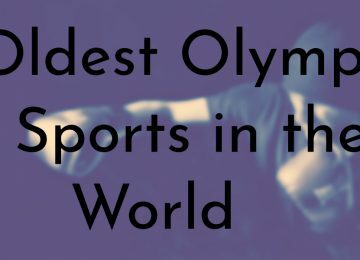 George Blanda dominates NFL history, holding some of the longest lasting records in the sport. While Blanda was better known for being a quarterback, he was also a kicker. Blanda retired when he was 48 years old (just a month shy of his 49th birthday), making him the oldest kicker in NFL history as well as the oldest quarterback and the oldest football player ever. 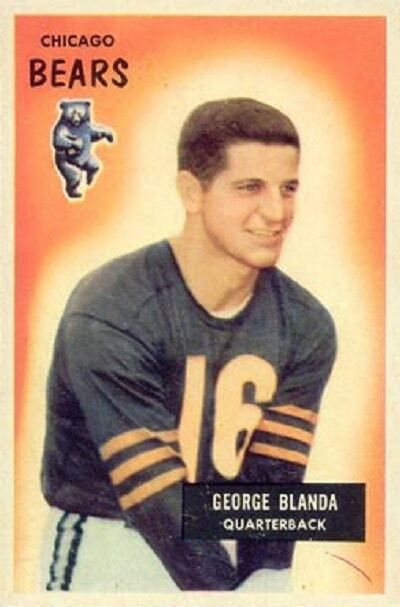 Blanda began his NFL career in 1949 with the Chicago Bears and played for 26 seasons, which is the most of any football player. 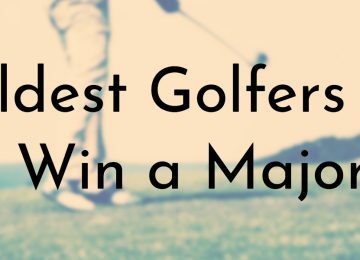 Some of Blanda’s other records include, most games ever played (340), most consecutive games played (224), and most points scored (2,002). 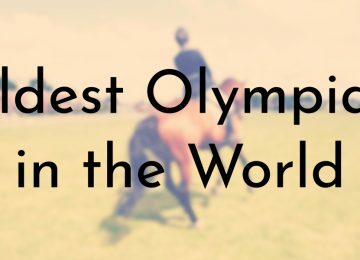 In total, Blanda is the first or tied for first for 19 records; is second or tied for second for five records; and is third or tied for third for four records – this amounts to 28 NFL records overall for Blanda. George Blanda is one of only 20 players to have played in all 10 seasons of the American Football League (AFL) before it merged with the NFL in 1970. 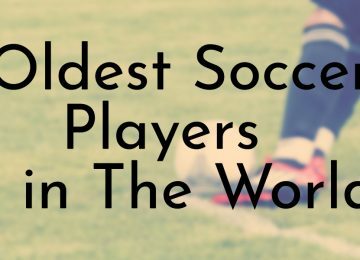 Additionally, Blanda was one of only three players who appeared in every AFL game their team played.